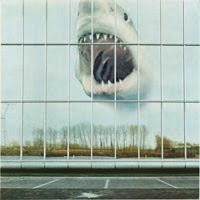 We have posted about Sonic Masala's itchy feet when it comes to two of the most highly anticipated albums of 2010 - Black Mountain's Wilderness Heart and The Black Angels' Phosphene Dream. Well, both are almost upon us. And I have gotten my sweatier than normal mitts on advances of both! So why not highlight this hump day with an early evaluation of both, so you can get salivating and starting saving, ok? 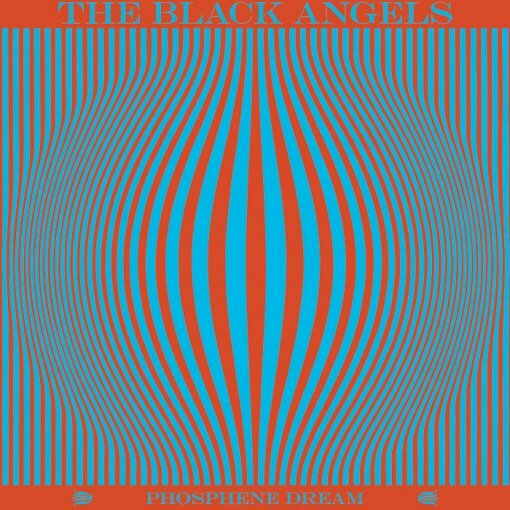 THE BLACK ANGELS have also impressed over the years, also with their hard work and 2 LPs carving a roughly hewn path through the psychedelic wilderness. And whilst Phosphene Dream certainly rears a more nostalgic head, the Austin five piece maintain their bombast and groove to ensure that old fans will not feel led astray, whilst opening up a new avenue on which they can obliterate in a sun-drenched haze. 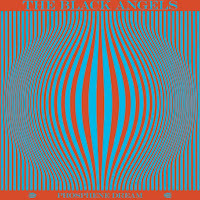 Leading with 'Bad Vibrations', The Black Angels show intent from the opening seconds, all sinister and seductive without showing its hand...before whipping out five hundred guitars and sending your soul to the seventh level of Hell. (Its a good song). And the album itself continues in such a fashion, but with an uncharacteristic twist or two - namely the conciseness of the tracks and the extenuation of ideas via expansive time signatures and instrument shake ups. It all combines to create an amazing album rich with ideas, mood, tone, and awesome, awesome otherness of ROCK, all ties together by Alex Maas' vocal delivery. Nevertheless, The Black Angels take a step back further than Black Mountain when looking back, as penultimate track 'Telephone' evokes more 60s pop a la The Kinks or the Yardbirds in their tale of being ditched - and yet this nibble of a retro track (their shortest ever at less than 2 minutes) shouldnt be on here - its a great song, but is a B-side all over, especially with the evocative 'True Believers' and gloomy bluesy 'The Sniper' bookending it. That said, it, unlike some of Wilderness Heart, lived up to my much heightened expectations, and has been a constant on the playlist for the past few days and isnt likely to be budged soon. So all in all, we have been delivered unto evil by two black and denim clad psych warriors this month, and you could do a multitude of worse things than bust your carefully plotted budget by purchasing these albums, then toss your painstakingly plotted to-do post-its in the bin, clap your headphones firmly on, and disappear for a week or more. Don't say we didn't warn you...or give you an almighty heads up. Check out our previous posts on these albums here, here, here and here. A Friday Cover Up - On a Friday for once! Album review - Hanoi Janes' Specks Ho! Summer's dwindling - time for some Heavy Hawaii!